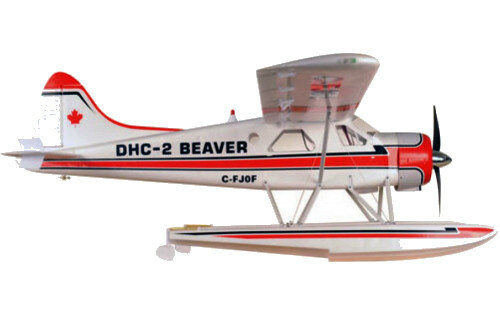 The DHC-2 Beaver is one of those aircraft that has survived the years and is still giving service throughout the world today. The combination of a rugged airframe and the ability to work from limited size landing strips has made her the workhorse of the north in countries like Canada. The ST Model version has lost none of that character and brings a much loved aircraft to the world of modelling in real style. The whole model has been carefully designed in CAD using the true outlines of the original and then translated into a highly detailed EPO foam model with a complex internal structure, to give the right combination of strength and weight. Carbon fibre has been added where necessary (3 spars for instance) and moulded plastic parts for fixtures and detailing. Practical features such as a tough aluminium undercarriage clad in contour scale foam fairings, a steerable tail wheel and a dummy engine are testament to the detail that ST Model go to in their designs. 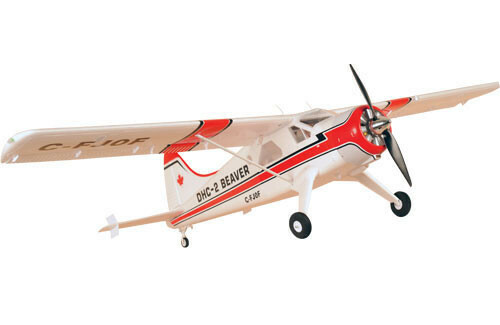 The wings feature real Fowler flaps, just like the original, which are highly effective and allow landings to become impossibly slow without stalling. The aileron hinges work in a similar way to be effective at all speeds and reduce the chances of tip stalling during slow speed flight. Last but not least are a full set of Navigation, Landing and Identification lights. Some are fixed and some flash as they should. 5 servos are pre-installed and mostly connected up to their pushrods/control surfaces. Power come couretesy of a high output, outrunner, brushless motor and a new 40A ESC. Just fit a 3S 2200mAh pack plus your own receiver and you are ready to go. Assembly should take no more than 30 minutes and the decals the same again. Like all ST Model aircraft, no glue is requred.